With a bit of planning, you can take that tiny closet from crammed to creatively efficient. City apartments, bungalows, cottages, cabins and just about any home built before the 1950s tend to have one thing in common: very little bedroom closet space. 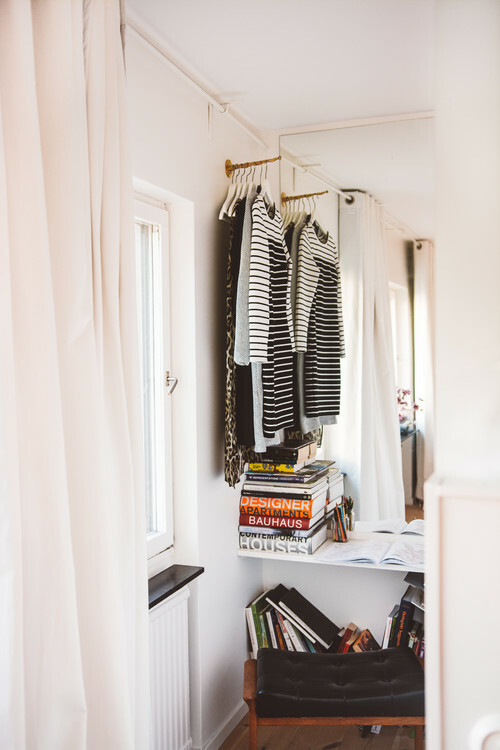 A small closet can work for you, but it might take a bit more strategizing and planning than you’re used to, especially if you’ve recently downsized from a spacious walk-in. If you’ve been dealt a too-small bedroom closet, here are 10 tips to help combat the claustrophobia. 1. Declutter and simplify your wardrobe. Think of having a capsule collection of clothes you love to wear for each season of the year, rather than a mountain of options you’re less than excited about. 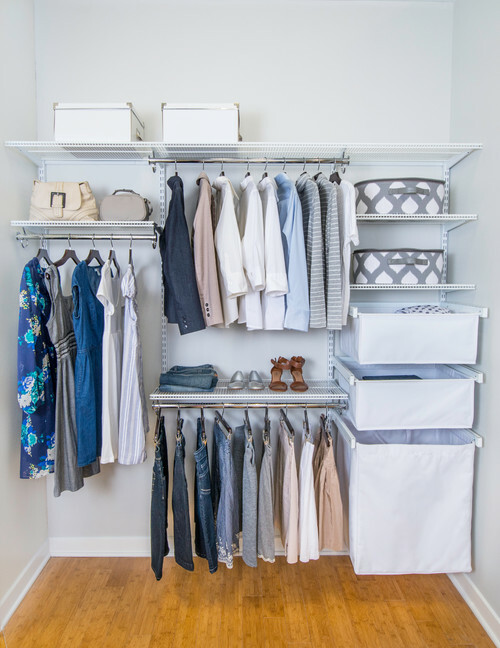 If you sort through your clothes and still have too much to fit into your petite closet, the tips that follow will help you find room for what’s left. Just remember, when you have limited closet space, each item really needs to earn its keep. When decluttering feels really challenging, sometimes it helps to give yourself a break for a week, then go back in and take a second look at everything. 2. Move off-season and less frequently worn items to another place. The idea is to reserve the prime closet space for the items you love and wear regularly in the current season. Everything else (including special occasion pieces) ideally would find a home in an out-of-the-way spot. 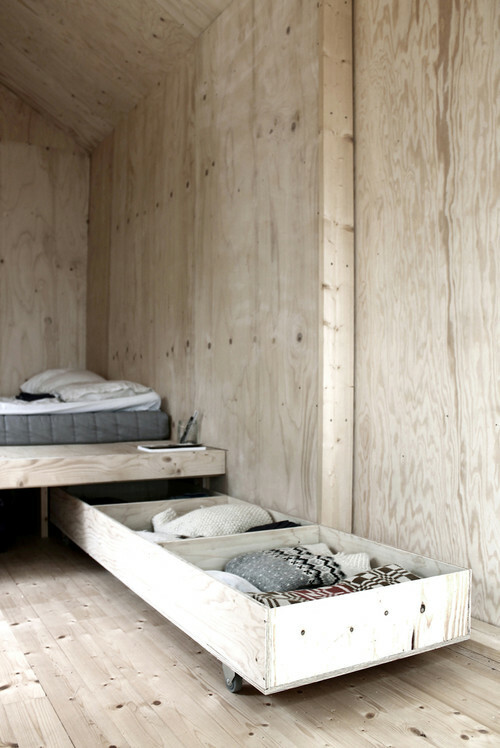 Bins that can slide beneath your bed are great for this purpose. Or fill old-fashioned hard-sided suitcases elsewhere in the house with off-season wardrobe items. If you really need to save space, get some vacuum storage bags — these are especially handy for reducing bulky winter items for summer storage. 3. Replace closet doors with curtains. Soft curtains open wider than doors, giving you a bit of extra room and saving wall space where the door would swing. It may not seem like much, but even a few inches can make a big difference in how a small closet functions. 4. Add wall hooks. Hooks and short valet-style rods are convenient for quickly tidying up and storing items you reach for frequently — musts for any small closet. Always keep a few empty, as these are great for last-second cleanups, setting out the next day’s outfit or hanging once-worn clothes. Transitional Closet by Delta Interior Designers & Decorators Sarah Gallop Design Inc.
5. Make it well-lit. Lighting is not just an aesthetic choice: A well-lit closet is easier to use, and encourages neatness. If your closet doesn’t have a light fixture, get a simple clip-on or battery-powered light to illuminate the darkest corners. 6. Go for a combo of hangers, shelves, boxes and bins. Doubling up on hanging rods carves out extra space in a small closet for other storage options, like pullout bins and shelves. Move less-used items onto a high shelf, and use open-top bins and shelves for easy storage of sweaters and delicate items. Shoeboxes or photo boxes can be repurposed to store small accessories; label the boxes and store them on a high shelf. 7. Boost storage power with risers and dividers. Make your open shelving work harder by fitting it with slim dividers (to keep piles of sweaters from toppling over) and risers (great for storing a double layer of small items). Avoid bulky wood dividers in favor of sleek acrylic or wire. 8. Bring the clothes out of the closet. Co-opt a corner of the bedroom, hall or home office for extra clothing storage with an attractive wall or ceiling-mounted hanging rod. If possible, add a shelf above or below the rod to maximize storage potential. Just remember, clothing on display is just that — on display — so choose your best, fanciest or favorite pieces, and store the rest inside your closet or dresser drawers. 9. Add discreet extra storage. Exposed racks of clothing not your style? 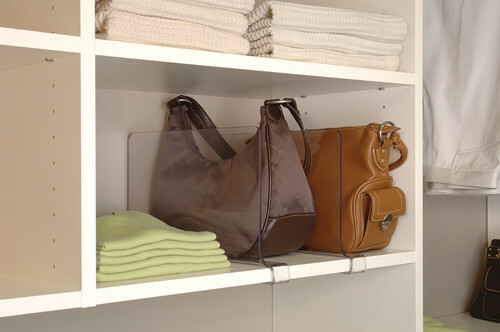 Go more low-profile by adding clothing storage bins to shelving. 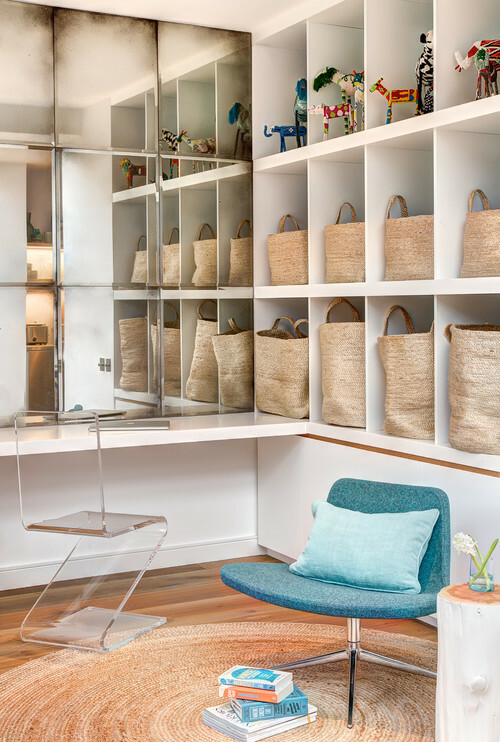 Baskets and bins work well for storing sweaters, T-shirts, socks, pajamas, workout wear and other soft items. 10. Try a portable garment rack. 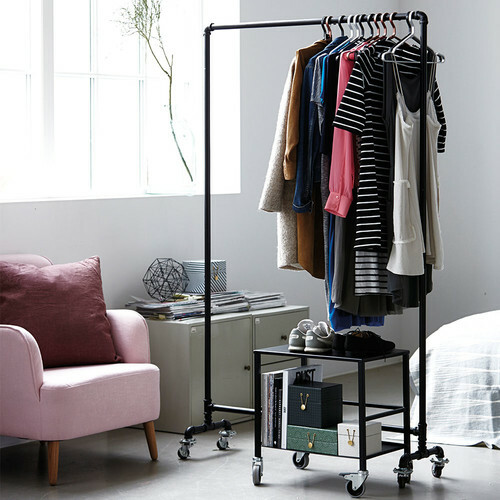 With a small wardrobe rack on casters, you have the option of leaving it out or rolling it away to a hidden spot (in the office or behind a folding screen, for example) when company comes (or if you get tired of looking at it). If you’re crafty, you could even make your own in exactly the size you need using plumbing pipes and fittings from the hardware store — very industrial chic.